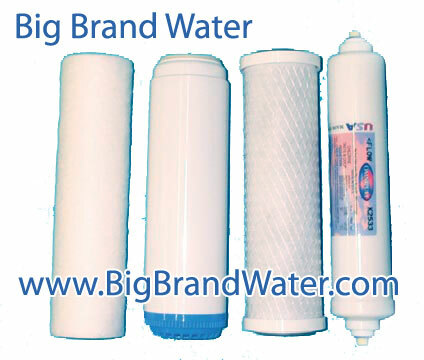 Big Brand Water Filter™ drinking water filter systems are manufactured in the USA using the highest quality components available in the water purifier industry. Give us a call and we will help you choose the right water system for your needs. We build each of our drinking water systems to order. The systems pictured here are our most popular models. For the best possible water available, these unique and innovative drinking water purification systems are a clear choice. When you are looking for top-shelf quality and options you can afford in water filters, come to Big Brand Water — we can assure you that you will never look for another water filtration system provider. 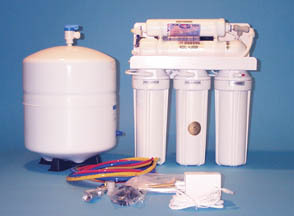 Big Brand Hydroline Reverse Osmosis Systems are manufactured in the USA using the highest quality components available. All Hydro Line systems come standard with 3/8" high flow tubing tank to faucet, quick connect fittings, integral shut-off, high capacity 36 gpd membrane, NSF approved storage tank with stainless steel connection and other features that are extras with our competitors. Hydroline Systems are available with Booster Pump or Permeate Pump.